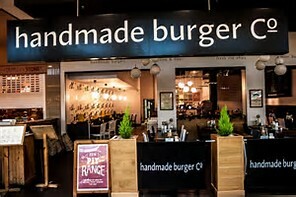 Haven't we all known for a while now that restaurant buzzwords such 'handmade' or 'home-cooked' mean nothing despite our so-called demand for quality, fresh and natural food. The only home-cooked and hand-made food, made on site from authentic ingredients, is made in my home kitchen and not in a restaurant that has to meet the customers demand for 'food-in-a-flash' If we have to wait more than 15 minutes for our pizza then we deem the service to be 'poor'. It was the results of a TV investigation that hit the press yesterday and disclosed the marketing spin that we already knew about - well, the not so naive among us. Several high street chains and cafes (and many more eateries) are fooling customers and making exaggerated claims about the freshness and authenticity of their food. 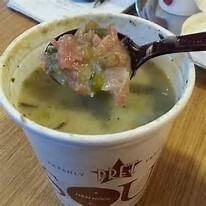 Pret A Manger, for example, describe their soups as 'handmade' even though they are prepared in a factory. 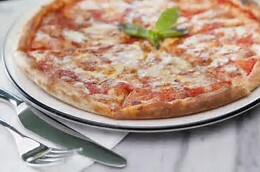 Pizza Express says its pizzas are 'freshly made to order' even though it uses frozen dough. It's no surprise then to discover that most chains serve dishes prepared in factories, like boil-in-the-bag meals. All the so called 'chefs' have to do is heat them in hot water, steam them or put them in a microwave. 'Bling Cooking' I call it (after the microwave's bling sound when cooked). It was Monday night's Channel 4 programme, 'Tricks of the Restaurant Trade' that 'revealed' the customer-con, we've all know about for ages. Even something as simple as scrambled eggs is bulk-bought in boil-in-a-bag packet. However, an expert on the show announced that a food item does not need to be made by hand to be described as handmade. Excuse me, who are you kidding? He said that if the machines used are big versions of ones you get at home in your domestic kitchen, then it can be called handmade. He went on to say that the food cannot be made on an industrial scale, but it still could be made in a factory. Similarly, he said that something can be called 'home-cooked' so long as the preparation method could feasibly have been used at home. But doesn't 'home' mean HOME and not factory? Isn't it about time we sorted out this exaggerated marketing claims once and for all, and called the food exactly what it really is - NOT REAL FOOD!